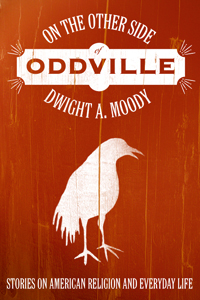 With a compelling mixture of humor and insight, Moody offers his reflection on religion and American life. Standing at the intersection of the public and the private, and speaking with authentic faith unfettered by fear, Moody offers words of clarity and compassion about some of the more troublesome issues of our time. Many readers will find this collection of newspaper columns most refreshing. “This book of short essays transports the reader into the realm of life’s rhythms and every day surprises,” writes Bob Mong, president and publisher of the Dallas Morning News, in the preface. “Moody’s stories are not soggy and sentimental. There is fire and pathos intermingling naturally with passages of love, forgiveness, and tenderness.” Moving easily from the personal to the public, Moody offers a word that needs to be heard—at times powerful and prophetic—but also pastoral, often poignant, and always with a view toward the common good. Moody speaks to a broad range of topics—books, family, church, friends, culture—with titles like “Did Jesus Know about Jabez?”, “One Hell of a Prayer,” “Survival Guide for Orthodox Churches,” “I’m in the Jailhouse Now,” “Autism and Easter,” and “Howard Finster—Man of Visions.” Moody describes candidly the joys and sorrows that have come his way and how the simple gifts of faith, hope, and love have served as sources of both endurance and delight. Do not be surprised if these stories do not warm your soul even as they inform the mind.